What Groups were you involved with at Carson High? Pat Perez Prieto has a birthday today. 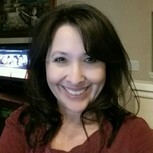 Pat Perez Prieto updated her profile. View. Pat Perez Prieto has left an In Memory comment for Alvin Salima. Alvin was such a sweet, gentle, and loving person. He always had such nice things to say. Alvin will always be remembered for his kindness and positive attitude.